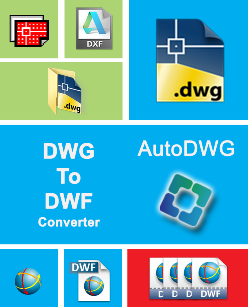 AutoDWG DWG to DWF Converter, Faster than ever! 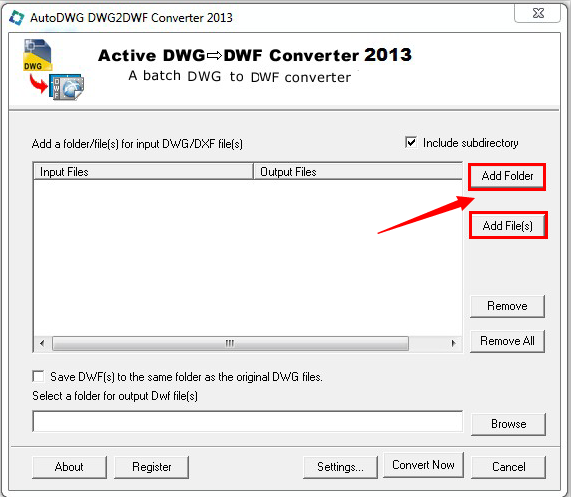 AutoDWG DWG DWF converter allows you to batch convert DWG/DXF to DWF without AutoCAD. The version of AutoCAD 2019~R14 is supported. DWF(Design Web Format) is a secure file format developed by Autodesk for the efficient distribution and communication of rich design data to anyone who needs to view, review, or print design files. Because DWF files are highly compressed, they are smaller and faster to transmit than design files, without the overhead associated with complex CAD drawings (or the management of external links and dependencies). Fast and easy conversion from DWG/DXF to DWF, AutoDWG is a stand-alone utility, so AutoCAD is not needed. SHX, Xref and line width are adjustable, multi-sheet of DWF 6 is supported, which enables you to integrate all layouts in one DWF file. Moreover, quality, format, version, output color and background color of DWF file are also customizable. The latest version of this DWG to DWG Converter 2019 has been released recently. 1. What's the purpose of DWF? Step 4: Please click Convert Now to begin the conversion. 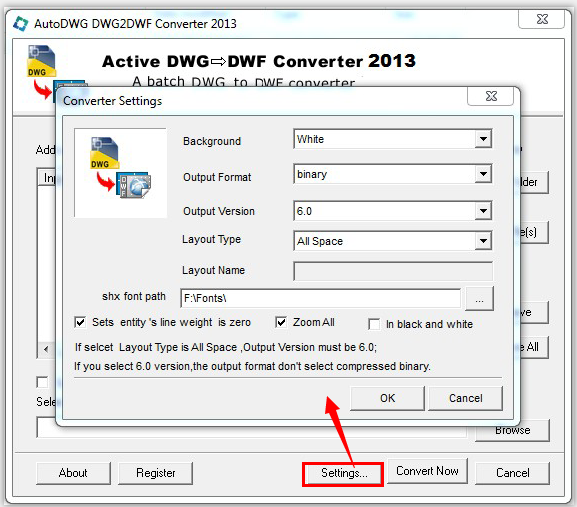 AutoDWG DWG DWF converter allows you to batch convert DWG/DXF to DWF without AutoCAD.